Entwistle's Garage opened in 1947 as a gas station and auto repair shop with a mom-and-pop store called Whistle Stop. Charlie Entwistle, Sr. had returned from the war and, not wanting to work in a factory, built the two-bay shop with a “pit” for oil changes and a towing service. The Entwistle family has provided quality automotive services to the community of Leicester ever since, now offering auto repairs, preventive maintenance services, custom exhaust work, auto body repairs, 24/7 towing, and more. Our auto repair shop is different than many automotive service providers in the Leicester area in that we’ve been here for 70+ years, and we’re family-owned and operated. We’re also small enough to be personal with all our customers, yet large enough to handle all your vehicle needs, from oil changes to collision repair to modern computer diagnostics. Our technicians are ASE certified, and many of our team members have been with us for 10 to 20 years. The continuity and longevity on display at our shop are testament to our commitment to excellence and serving our customers well. “I began pumping gas for my dad at age 13, and I thought it was the greatest thing on earth—having a job and being able to work with my dad. I worked part time through high school and through my two years at Becker College. I graduated with an associate’s degree in liberal arts, but had no idea what I wanted to do if I went further with my education. So, I began my fulltime career with Entwistle's Garage, eventually becoming manager, then owner. Deb has been a member of the Entwistle team since she and Charlie took over the business in 1990. Her title is Office Manager but that doesn’t begin to tell what she does here. Over the years she has been bookkeeper, service writer, tow dispatcher, IT department, payroll clerk, and human resources director among many other roles. Deb is an integral part of the business and everyone looks to her for solutions and answers. She is always up for any task that is thrown at her. Chuck is a friendly and dedicated automotive technician whose priority is to professionally diagnose your vehicle, so you never pay for more than you need. He believes in honesty and integrity, and is an asset to our shop in providing the service team with an accurate picture of the maintenance your vehicle requires to keep it in tiptop shape, ultimately helping you avoid breakdowns and more costly repairs. Chuck attended Bay Path Vocational with a concentration in machine shop, Leicester High School, and Quinsigamond Community College before earning an automotive degree from Barron Institute. 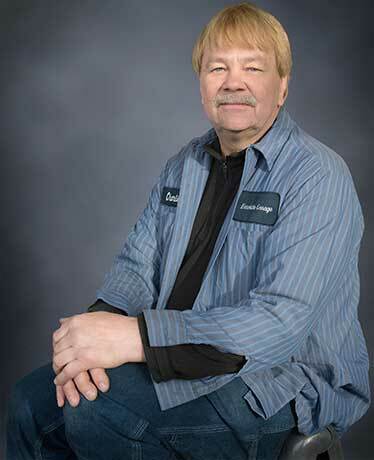 Chuck is also an ASE-certified Master Technician, L-1 master technician (computer repair), and has obtained additional training through Automotive Training Institute in Personnel Management and Human Resource Development. He has been a member of our staff for 17 years. Lucas is the friendly and helpful service writer at our shop. He is always ready to help you sort out the priorities for keeping your vehicle in perfect running order, and as a trained automotive technician before becoming a service writer, he is genuinely knowledgeable about auto repair. Lucas has been an integral part of our team for over 11 years, and his knowledge has brought a new level of professionalism to our service department. He graduated from Bay Path Vocational with a concentration in auto repair, and attended Quinsigamond Community College concentrating in business management. He holds certifications from ASE in auto repair and service writing, and is a certified GM technician. Lucas also became a licensed Auto Damage Appraiser in 2016. Louie has been an important member of our team for 15 years, serving as both a technician and a tow driver. When Louie shows up to tow your vehicle, you can be confident your vehicle will be well cared for based on his experience as both a technician and a tow driver, and his helpful nature. He is caring, considerate, and always willing to answer all your questions in a friendly and competent manner. HE LOVES HIS JOB, AND IT SHOWS. Nick brings a whole new level of enthusiasm to the atmosphere in our shop. He is always ready to jump in and help whether it is in the shop, the office, or the tow department. Nick has been with us for five years, starting in the tow department and transitioning over to technician where his natural skills and intelligence have made him shine as a technician. Nick is currently working toward his ASE Master Technician certification, and is currently certified in engine performance, manual drivetrain, suspension and steering, and brakes. Ron is the newest member of our staff, having joined our team in 2016, but he comes to us with 25 years of experience in the towing industry. Ron loves serving the public, and is always quick to respond to any emergencies that come up, 24 hours a day, seven days a week—a rare breed. Chris was taught auto body repair by his dad, and he loves the family profession with a passion. He has worked at many top auto body shops in the Leicester area (including his own), and has taken his skill level higher with each new opportunity. His love for auto body work has helped him become among the best in his field. Chris has 27 years of experience, and has been with us for three years. He prides himself on thoroughly repairing every vehicle, taking no shortcuts. His painting is perfect—so flawless, in fact, that he rarely needs to buff out his paint. Bonnie is a capable and enthusiastic accountant who expertly handles all the challenges our back-office throws her way. Also, she is always ready to jump in and help the service department by waiting on customers and dropping off or picking up customers when needed. Otherwise, Bonnie is quietly working behind the scenes, and her seven years with us makes her an asset to the larger workings of our auto repair shop.